Welcome to this year’s edition of Curtis on Tour at the Mondavi Center. I know that many of those who will attend this event have joined us every year since our partnership with Curtis began 11 years ago. Others of you are new to this event; you are in for a treat! 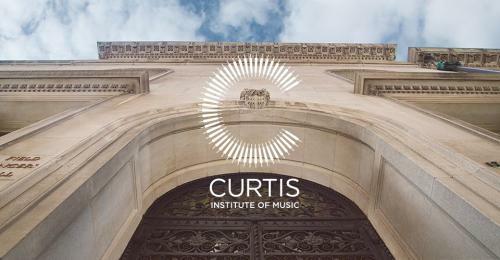 For these performances, the Curtis Institute of Music in Philadelphia, PA, arguably the most selective music conservatory in the world, sends us a mixture of students, alumni and faculty, so that each season we make our first acquaintance with rising stars in music alongside those already in the musical firmament. Every Curtis on Tour program is different – and it is especially exciting to see Curtis’ wonderful opera division on display today. When I arrived at the Mondavi Center from Aspen, I had been connected to Curtis, as a member of its Board of Overseers, for five years or so. I watched it go through a leadership transition as its new President Roberto Diaz came on board and launched a great institution into a period of dynamic change. (Some of you have heard Roberto play on several occasions as part of Curtis on Tour. To my ears he’s the best concert violist playing today.) Arriving on the West Coast, I realized that Curtis did not have the same high profile out here as on the East Coast. I decided to pick up the phone and call Roberto and ask him if Curtis had ever thought about touring, especially to parts of the country where the school was less well known to the public. Great minds think alike I guess because Roberto already had been brainstorming the program that came to be known as Curtis on Tour. As a result of that simple phone call, in 2008 the Mondavi Center became the first venue outside of Philadelphia to host a Curtis on Tour performance. We have hosted Curtis on Tour every season since then —and last year we decided to make these events free, so that even more of our public could get to enjoy these amazing young artists. We owe a great debt to Barbara K. Jackson and Simon Engel who have made it possible to charge no admission—as Curtis does to its trustee Nina von Maltzahn who has endowed Curtis on Tour, allowing it to expand internationally. I am personally proud to have been able to initiate such a wonderful partnership, one that shows that classical music is alive and well and in the hands of some amazing and dedicated young artists. Thank you for joining us.